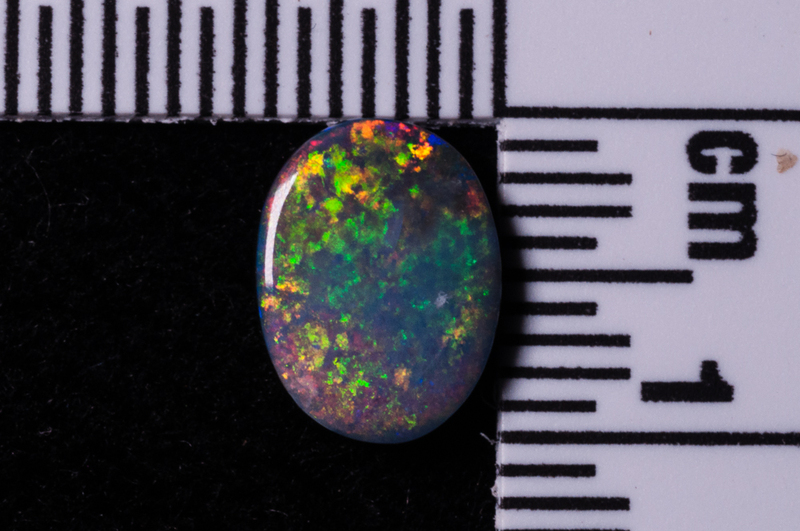 This red and green oval opal came as a bit of a surprise. 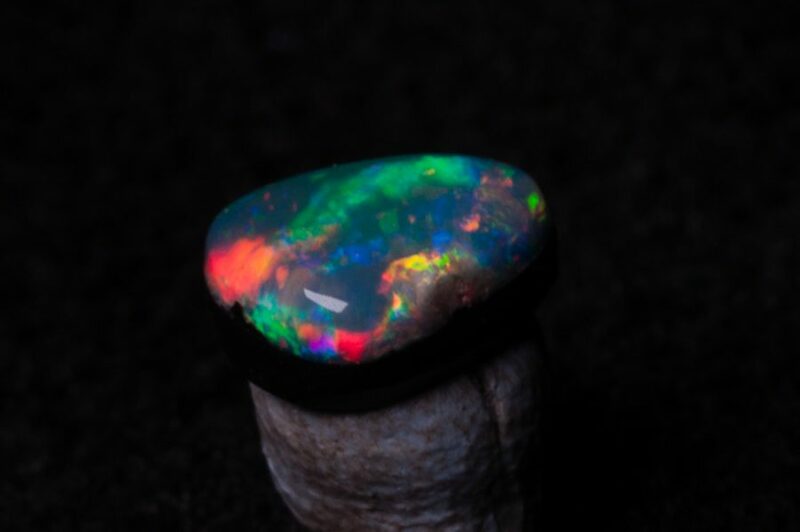 It was a piece of rough that was curved with a skin on both sides. The edge had a bit of colour play but I knew due to the curve, I wouldn’t really be able to make a solid stone from it. 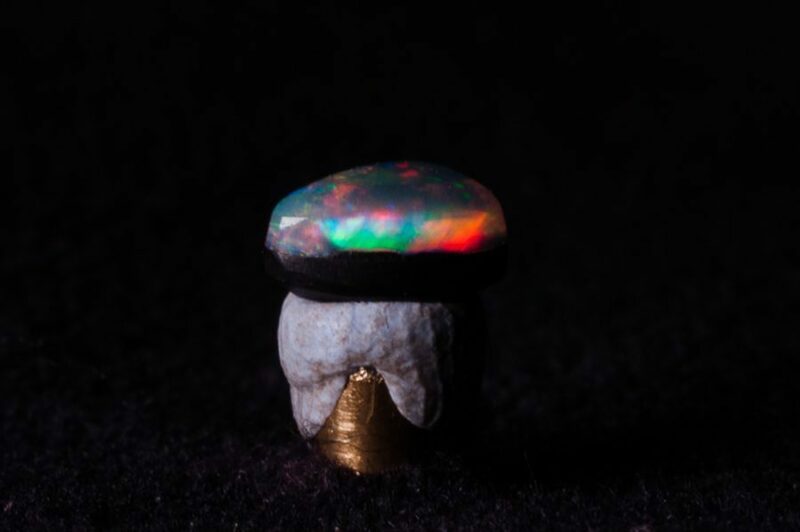 Out came my black agate. After flattening both the rough and the backing, I married them and left to set! This one took quite a bit of care. It was fairly thin and the surface as well as being convex undulated quite a bit. Grinding little and inspecting often is the key. 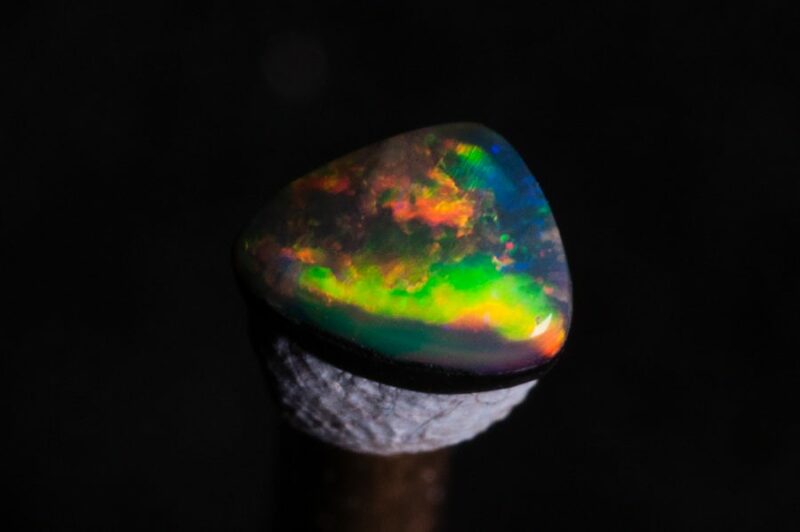 To start with I believed I’d have a green pinfire flash but as tends to be the case with opals, this changed as the grinding and polishing continued. 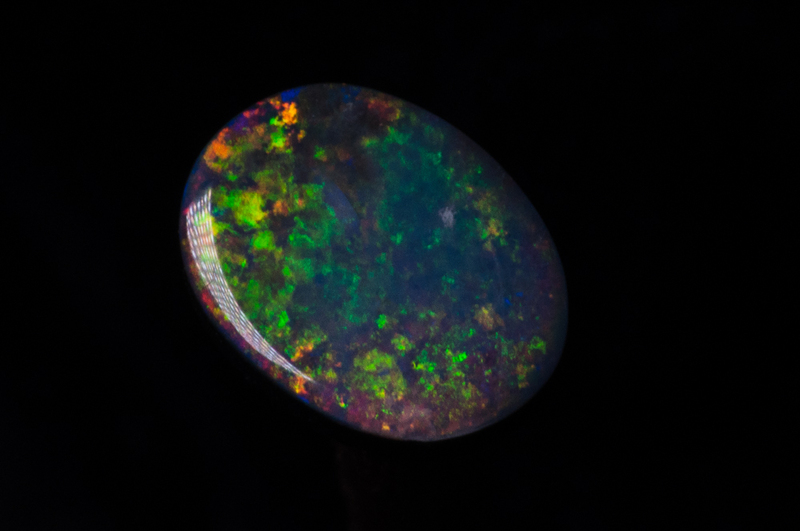 The resulting stone has a greeny pinfire. Then, when you turn it, you get a lovely redish glow flowing in form the sides. 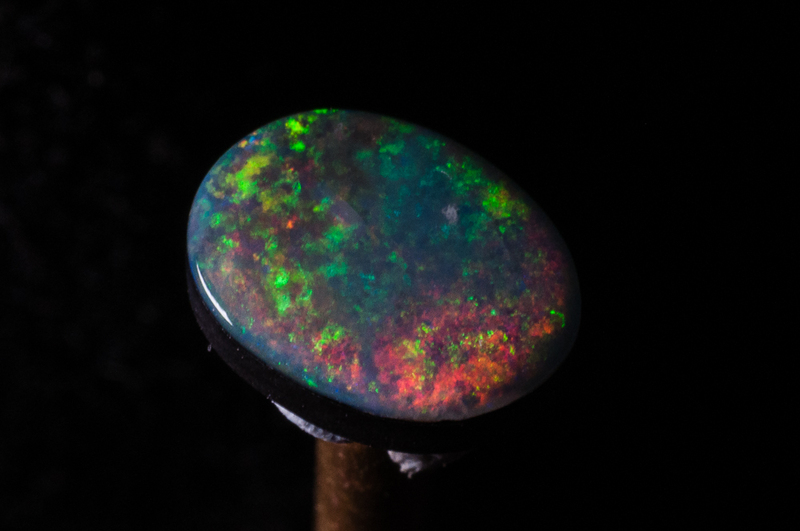 It’s more like a traditional doublet as the piece of opal is thinner than I tend to use. 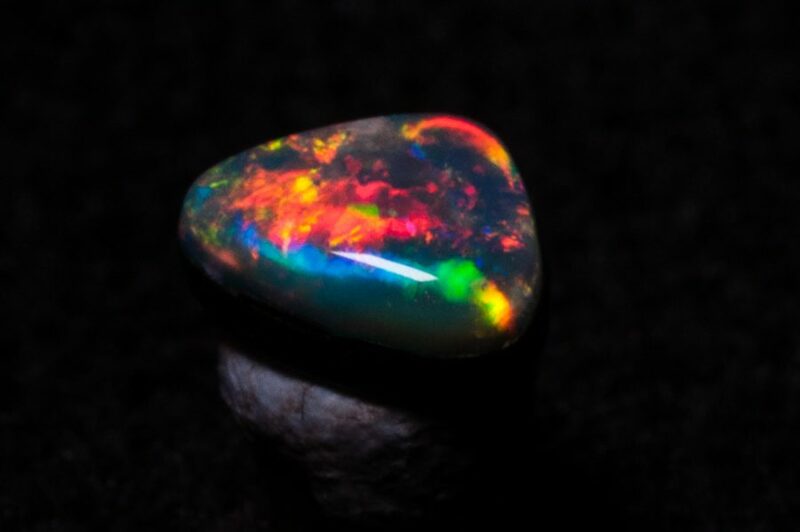 This was a piece of rough crystal opal that had come in a batch from Australia. 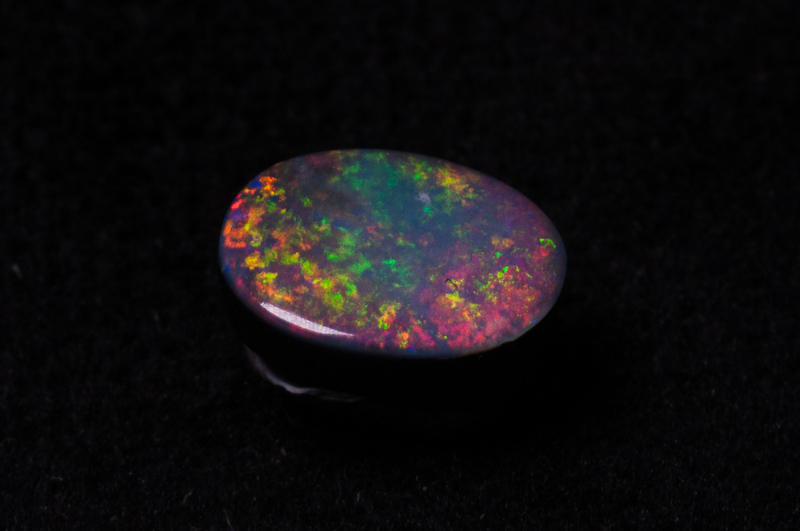 It had a slight dull flicker of rainbow colours and was on a sandstone backing. The original stone was cracked into three and I tried hard to work with the pieces but they were really quite small and fiddly. 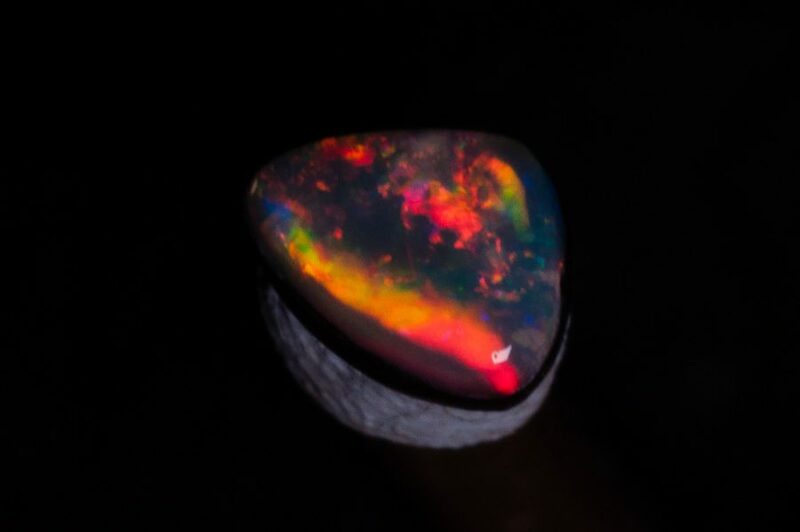 I thought I’d have a play and mount one onto black agate, primarily so I could cut and polish the opal more easily. I used a two part crystal clear epoxy and made some lamp black to darken it down. After waiting, I dopped the stone and then trimmed the back down . Everything felt much easier to control. It was a real joy to work on! 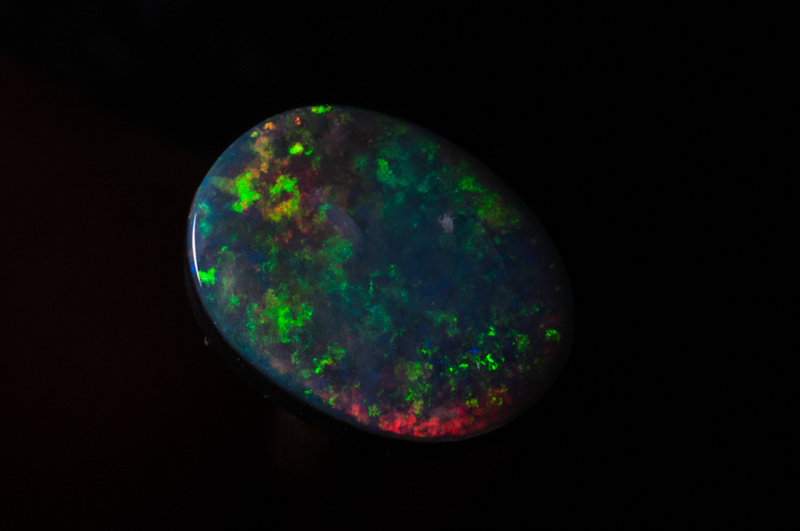 Every part of my cutting and polishing revealed more colour, vibrancy and brilliance. 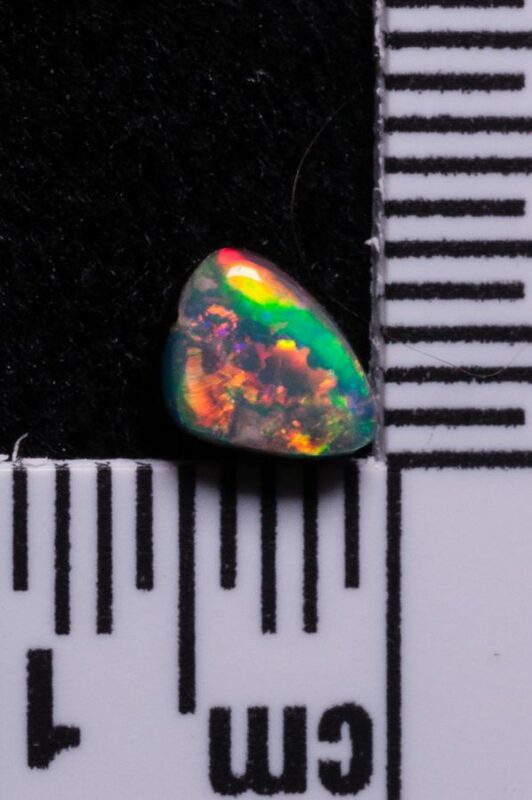 There is a small inclusion of sand on one edge but to remove that would have meant effectively destroying the stone… you can hardly see it without a loupe. When I reached the 3000 grit, the rainbow colours were really showing through. The final polish gave me a big smile. It may only be a small stone and effectively it’s a rather thick doublet but I love it. I’ve taken the photographs in a near daylight with an artificial source. Please feel free to comment on the post and photographs .